According to some estimates, up till now, Amazon sold more than one million units of Kindle. That's one million units for a device that is not a phone, doesn't include a camera, can't guide you from point A to B, has a grayscale screen, and really doesn't do much but serving as an e-book reader (don't get me wrong, I would love to have one). The point is, e-book readers are far less revolutionary than AR devices. Some would claim (me included) that AR devices are also more useful. Yet, it seems that no one is building a dedicated augmented reality hardware. If AR was really that hot and not a technology that is still a few years away, shouldn't we see at least a concept AR device? After all, if over a million Kindles were sold, the FlARe™ would sell like cupcakes. Yes, the HMDs coming next year can be used for augmented reality, but it seems that they primerly target other markets. Future of Internet Search : Mobile Version. CC by Mac Funamizu. Another "AR capable" device that targets other markets is, of course, the iPhone. Instead of complaining about the iPhone's lack of support of augmented reality, can't AR enthusiasts take action to their own hands? Isn't there another Noah Zerkin type of guy that instead of building an amazing glove, would build a rough hand held AR device to prove that augmented reality is not a lot of hype? Sergey Ten has written today a set of features he is looking for in the perfect AR device. If you are a resourceful guy or girl, start from there. Consider this post as a call for action, or at least for comments. 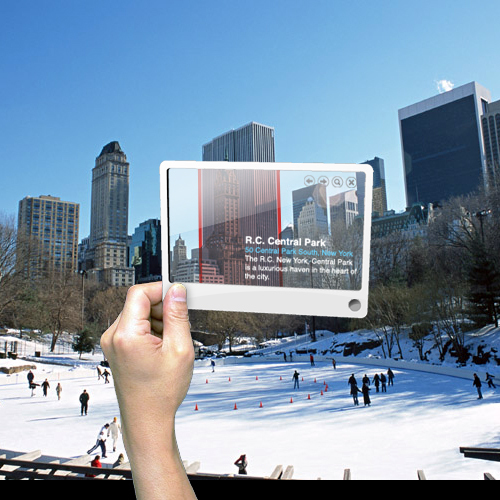 Is augmented reality going to be bigger in 2010 than e-books readers to merit its own dedicated device?